Excited to be a part of it this year! Jimmie is excited to join Eric Clapton and some of the World's greatest guitar legends once again, at Eric Clapton's Crossroads Guitar Festival. 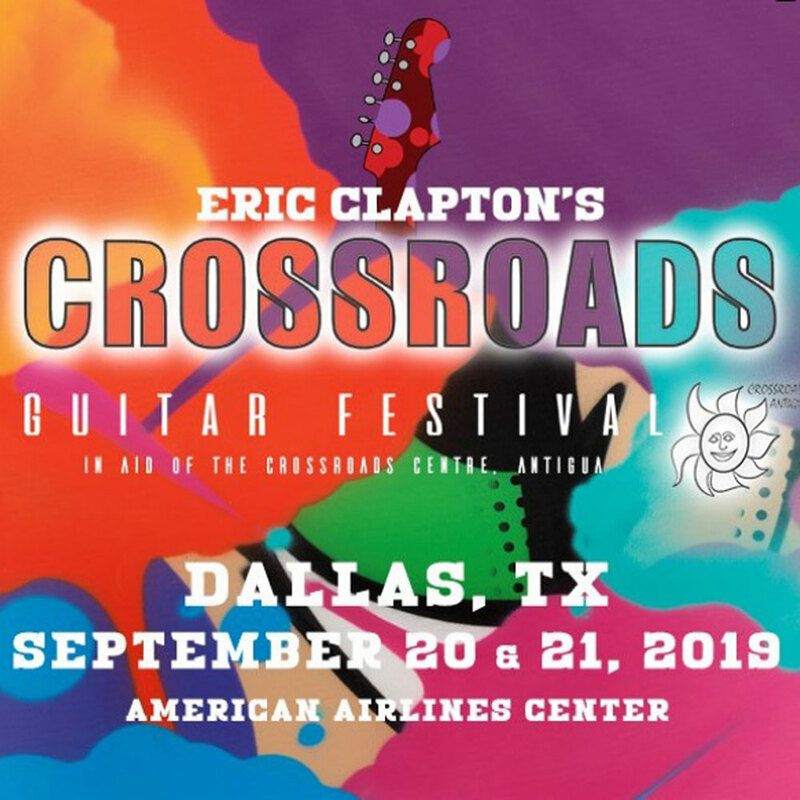 The Festival, which has become legendary in its own right for hosting performances and impromptu collaborations from the world’s most legendary guitar players, will take place September 20-21 in the city that hosted the first-ever Crossroads Guitar Festival—Dallas, Texas. Clapton will gather the past, present and future of guitar music onto one stage for an unparalleled musical event. All profits from the Festival will benefit The Crossroads Centre in Antigua, a treatment and education facility founded by Clapton for chemically dependent persons. The first Crossroads Guitar Festival, in June 2004 at the Cotton Bowl in Dallas, was an unprecedented collection of guitar icons from blues, rock and contemporary music. The sold-out show was chronicled in a 2-disc DVD that has since gone on to become one of the world’s top-selling music DVD’s. The Crossroads Guitar Festival 2007 and 2010 were the second and third such concerts by Clapton and were staged at Toyota Park in Chicago. Both Festivals were filmed for DVDs and met similar acclaim and achieved multi-platinum status. The fourth Crossroads Guitar Festival in 2013 brought the world’s best guitar players to the world’s most famous arena, Madison Square Garden in New York and met with huge critical acclaim. Tickets for the Crossroads Guitar Festival will go on sale Friday, April 5th at 10 a.m. CST. Two Different Nights of Music. Not All Artists Will Perform Both Nights but Eric Clapton Will Perform Both Nights. Founded in 1998, Crossroads Centre, Antigua was created to provide treatment and education to chemically and alcohol dependent persons, their families and their significant others. Treatment is provided through residential care, family and aftercare programs. The pathway to recovery is founded on the 12 steps and a change in lifestyle. Crossroads Centre, Antigua also operates a 16 bed halfway house in Antigua called the Bevon House and facilitates various ongoing recovery initiatives on the island of Antigua and the Caribbean. Copyright 2011-2019 JimmieVaughan.com All Rights Reserved.